It hasn’t been long since we have seen the overzealous use of restraints in nursing homes. In fact, restraints are still in use now – mostly legitimately – however; too many times they are used too much and for the wrong situations. A Medicare initiative through Lumetra has helped reduce the use of restraints in nursing homes by an average of 26% during the past few years. This is a good sign, and it has taken a collaboration between the Centers for Medicare Services, working with nursing homes and their employees to make this work. Even though nursing homes throughout California had limited their use of restraints since 2004, there were still a high number of incidents. However, the nursing homes that started working with Lumetra, a non-profit organization dedicated to improving the quality of healthcare, and beginning to focus on person centered planning, including the nursing homes previously considered the most “poor performing” reduced their use of restraints by 55%, working through Lumetra’s Quality Improvement Collaborative. This is a great step forward to reach this much of a reduction in restraints. In addition to becoming a great step forward, it is a credit and a relief to the staff involved on such an important issue. Lumetra worked with 138 California nursing homes for over 18 months, specifically trying to decrease – and eventually eliminate – restraint, as well as further establishing and sticking to person centered plans. Person centered plans are more successful in obtaining positive results and less resistance, mainly because the person has helped develop the plan for themselves and, as a result, this is more of an encouragement for them to set up their own goals and boundaries and work within them. The idea of person centered planning has moved forward rapidly, and has been a breakthrough. When a person sets up their own goals, dreams and boundaries and is given the support and tools to work toward them, it becomes a “win-win” situation. For further information check: www.Medicare.gov. Understanding how Skilled Nursing Rehab works and where Medicare fits in is extremely important. There are a lot of facts that can affect your situation and create some serious issues for you if you or someone in your family needs this type of care. The way Medicare handles Skilled Nursing Rehab is that the original Medicare plan pays 100% of the first 20 days. Most of the time, if there is any improvement that the facility can say is enough improvement; Medicare will try to have you discharged within those first twenty days. After the first 20 days, the Medicare beneficiary pays $128 and Medicare pays the remainder of the day’s bill for up to 100 days. Looking at these figures, this is where supplemental insurance becomes very important. 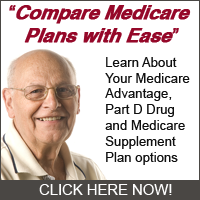 This could be a Medigap/Medicare Supplement plan or it could be an employer retiree plan. This type of plan will pay most or all of the $128 per day out-of-pocket expenses that are your responsibility. Because Medicare is a health insurance plan that provides medical benefits, in order to receive those benefits, they have to determine that there is a medical need. If you are in a medical facility or skilled nursing rehab center, Medicare has determined the need, they will pay their share, however, when your condition improves, they will not continue to pay. Sometimes and individual or family does not agree with the decision that the person is ready to be released even though that person has improved. If that happens, it is important to very firmly and specifically relate your concerns to staff, the social worker, the doctor and the social worker. If the person has had a stroke and is still unable to get in and out of the house safely, still have severe balance issues or other barriers, specifically let the facility and all the individuals we mentioned know. Regardless, it is very important to study the issue of Skilled Nursing Rehab and Long Term Care very carefully. Take the tie to do some research on the net, through your doctor and even at your local hospital and find out what good policies are available and how they work. Be prepared so that if you or your family is ever in the situation where you need this type of coverage, you will be ready. Nursing homes basically serves as a residence for people who are too weak or too sick to care for themselves. In nursing homes, you will receive proper care from qualified professionals in order to increase the quality of your life. Nursing homes also serves as a temporary residence for people who are recovering from certain that made them unable to care for themselves at home. However, you need to remember that there are some people who need constant nursing care. And, with the nursing homes, you will see that it will be able to provide this kind of care. Face it, one of these days, you and your spouse may need to stay in a nursing home to provide yourself with constant health care, especially if you werenâ€™t able to save a sizable nest egg for your retirement. In the mid 1960s, the congress created a health insurance program for the needy that is funded by both the state and federal government. This health insurance program is a way to give financial relief to low income individuals and families regarding health care. In today’s world, living without any form of health insurance is considered to be suicide, well at least financially. Besides, with the high cost of health care in today’s society, how will you be able to pay for it if you are already finding it hard to make ends meet? Surely you can’t predict the future on what happens to you or your family’s health. This is why health insurance is here: To provide you with financial assistance when you need it most. The problem with health insurance policies today is that it is also relatively high in cost, which is why low income individuals donâ€™t purchase one for themselves. They have enough financial problems to deal with and they view health insurance as another unnecessary expense. This is why Medicaid is here. Today, the constant changes in the Medicaid eligibility rules and requirements made it possible for the elderly and the disabled to apply and get approved for Medicaid provided that they meet certain income requirements. In fact, Medicaid is now also covering long term heath care that can be quite expensive, such as nursing homes and other health care institutions. By the time you reach the age of 65, it is a fact that you automatically qualify for Medicare. However, if you want more coverage and you want more financial assistance to finance your stay at a nursing home, you may want to try and apply for Medicaid especially if you only have low income level. If you have assets, such as real estate properties, and cars in your name, then you may find it hard to get approved for Medicaid in some states. The fact that Medicaid only offers its services exclusively for the poorest of the poor, you need to determine if you are eligible or not. It is important to remember that long term health care covered by Medicaid requires you to have a specific amount of income level. However, thanks to the recent changes in the eligibility rules and requirements regarding long term health care, such as nursing homes in some states, you too will be able to become eligible for the program even if you have resources, such as real estate properties, savings in your bank account and cars. In fact, even if you already have Medicare, you can still apply and get approved for Medicaid. Although Medicare may pay for your stay in a nursing home, but Medicaid can provide health care assistance, such as providing you with discounts on prescription drugs. Medicaid may also pay for your stay in a nursing home. You have to remember that the rules are quite different in every state regarding long term health care with Medicaid. This is why you have to take a closer look at the eligibility rules and requirements for Medicaid in your state. This way, you will be able to know whether you qualify for long term health care offered by Medicaid in your state.